Choosing a color palette for your presentation can be a challenging task. On the one hand you want to have a dynamic presentation with awesome looking colors. On the other hand though, you don’t want a presentation full of hot pinks and incredibly bright yellows. It’s never good practice to make your PowerPoint look like a pack of highlighters. At Learning Solutions I attended a session hosted by Bianca Woods. She is an Instructional and Graphic Designer based out of Canada. She gave a great session on graphic design tips for all sorts of projects. Bianca talked about everything from typeface to graphics and color. 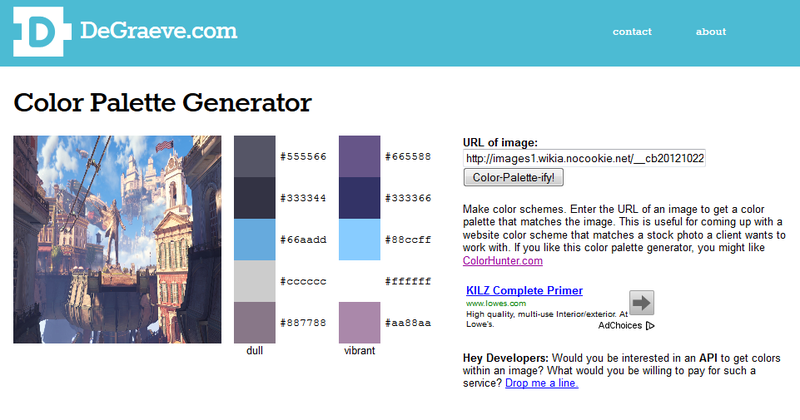 One tool she highlighted in her presentation was a color palette generator. The one she highlighted in particular was from a website called DeGrave.com. It’s a cool little website that has a lot of tools you can use in graphic design. This is the default picture listed on the website. A picture from the beach was uploaded to the website. Using the colors that were present, the generator created a palette from it. It also gave two variations of the palette. The original purpose of the tool was to come up with a website color scheme that matches a stock photo a client wants to work with. However, the tool easily translates to a PowerPoint as well! If you have an opening photo that you really want to use, you can upload it here and find a palette to match it. This is a photo I used. I have to mention a few things about this tool. If you use a picture that is too large in dimension (usually bigger than 1280×768) or too small (lower than 640×480) the tool won’t generate a palette. 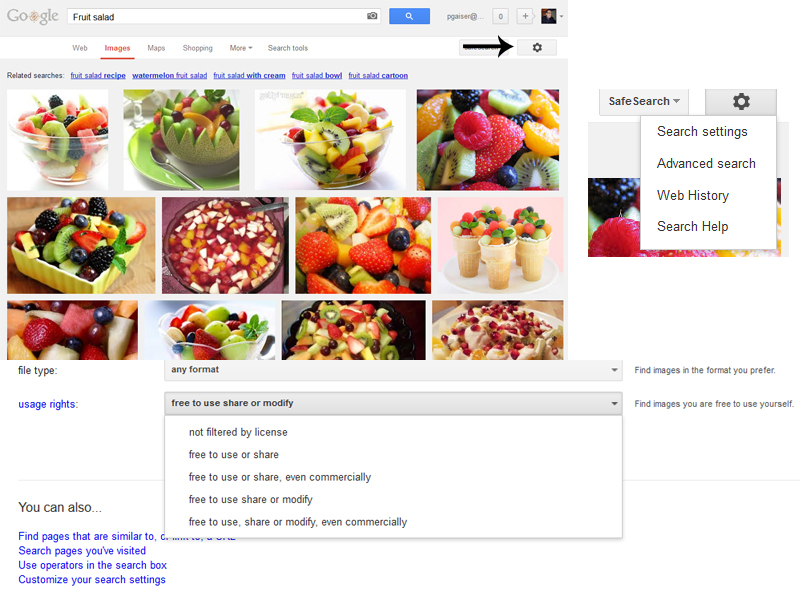 However, if you have to use that picture, there are plenty of other tools out there that can help! 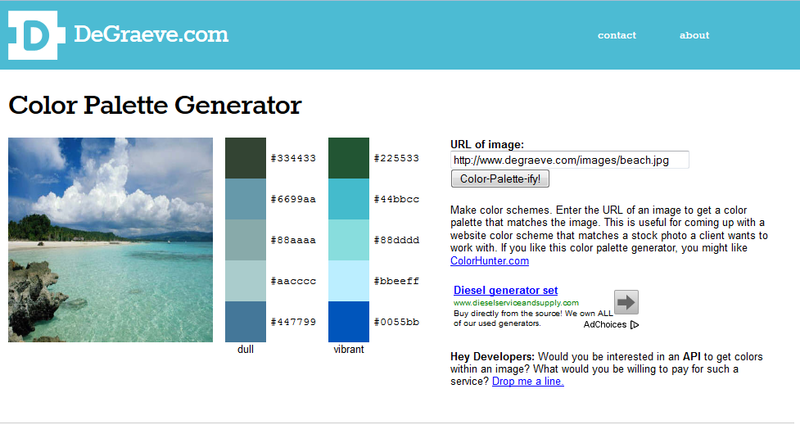 Check out the Color Palette Generator here!